I recently experienced a breakfast brunch - Buenos Aires style! One of my favourite steak restaurants has always been CAU, not only a play on words but an Argentinian steakhouse with its own distinctive twist. Ever since the first time I tried their mouth-watering lomito fillet steak - I knew I would continue to come back and back for more. If you haven't tried CAU and you love steak, you really do need to find out where your nearest branch is, I'm really not exaggerating how good the food is. 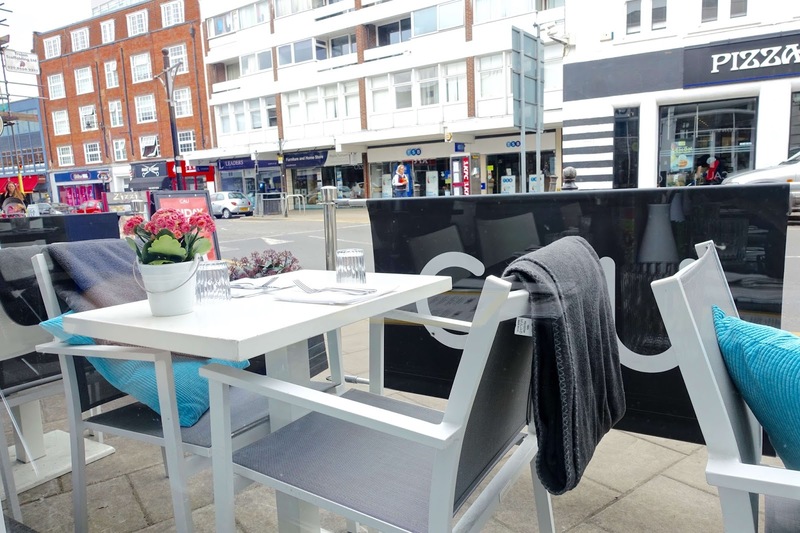 To my delight, I was recently contacted by their PR team who invited me down to Guildford to try CAU's new breakfast/brunch menu. What's better than being told you're now able to visit your favourite steak restaurant for delicious grub both morning and night? At the end of the day, brunch is brunch and most places do it fairly similar. 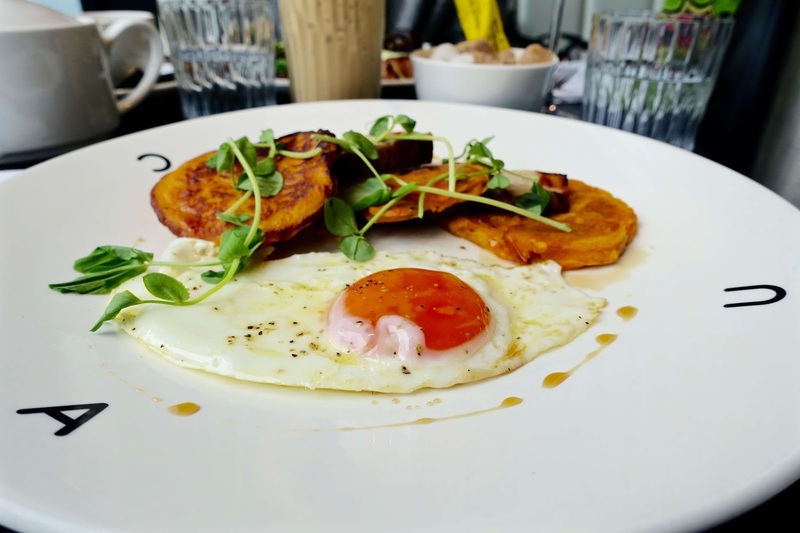 Personally, I like to keep a look out for restaurants or cafes offering a breakfast brunch with a little twist on the traditional dishes. 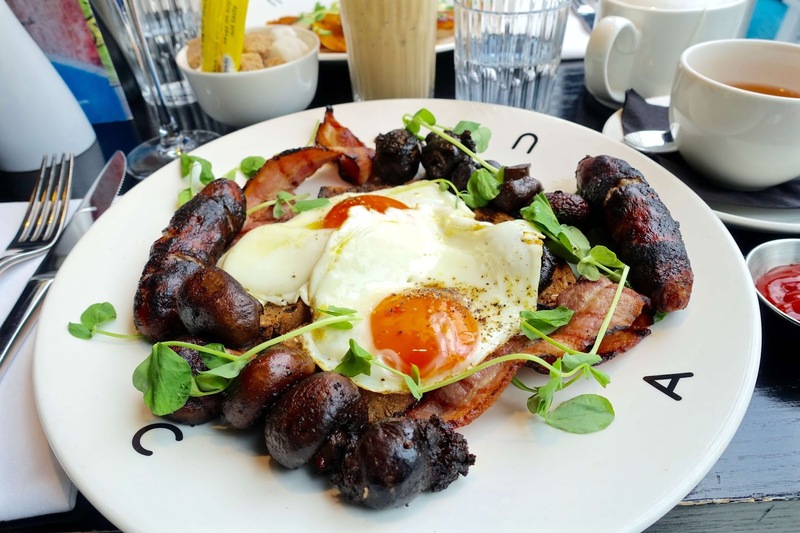 At CAU each dish is served up with its own distinctive Argentinian twist - delicious comfort food at its best so I was excited to see if their brunch menu offered this too. 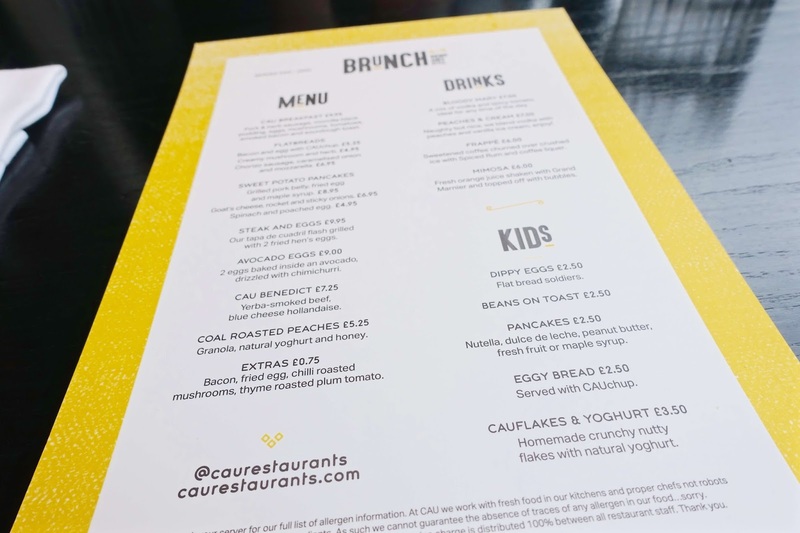 At 12.30pm on a Saturday it was a welcome sight to see the brunch drinks menu complete with an alcoholic twist on the classics. Fancy a Frappe with your brunch? Of course, you do - especially if it is served with an extra special helping of spiced rum and coffee liqueur. Naughty but nice, but hey its the weekend! 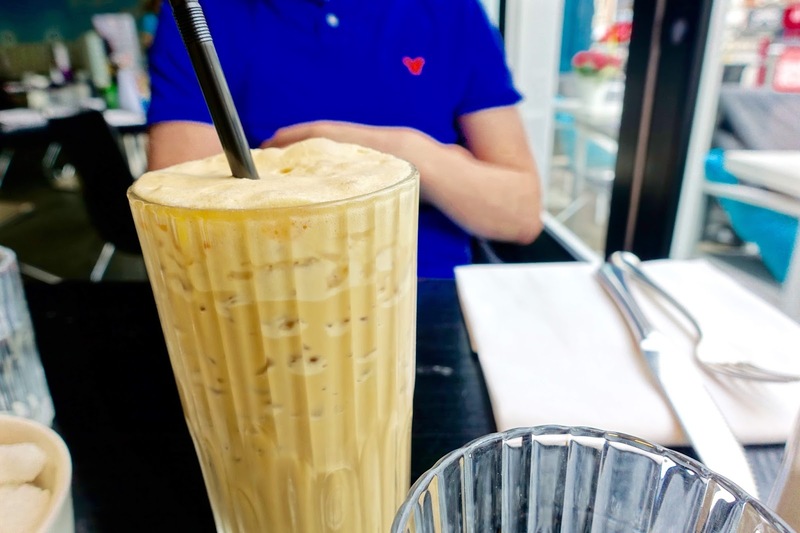 Alex choose the Frappe (£6) - sweetened coffee churned over crushed ice with spiced rum and coffee liqueur, I had a trusty Mimosa (£6) refreshing orange juice shaken with Grand Marnier and topped off with bubbles. To follow, I couldn't falter from my favourite (not today!) so decided to see what the CAU Breakfast (£9.95) had to offer. The full breakfast includes pork & herb sausage, morcilla black pudding, eggs, mushrooms, tomatoes, smoked bacon and sourdough toast. 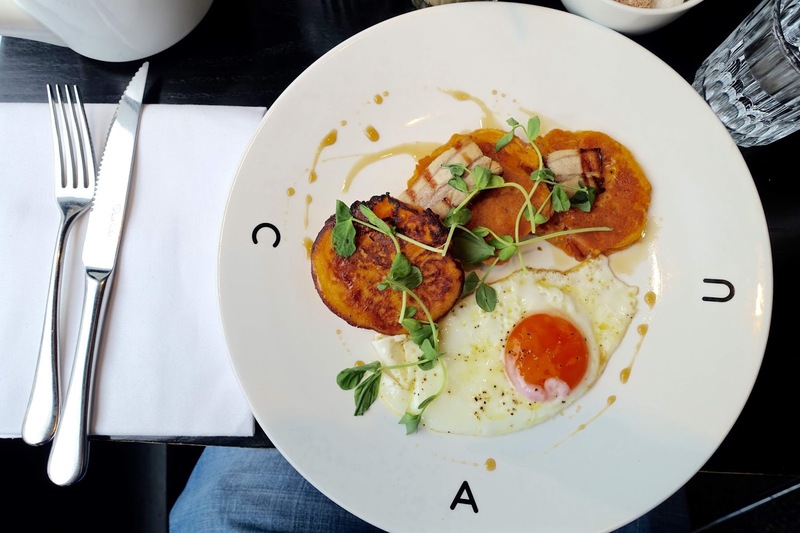 Alex chose something a little unusual - the Sweet Potato Pancakes with grilled pork belly, a fried egg and maple syrup (£8.95). 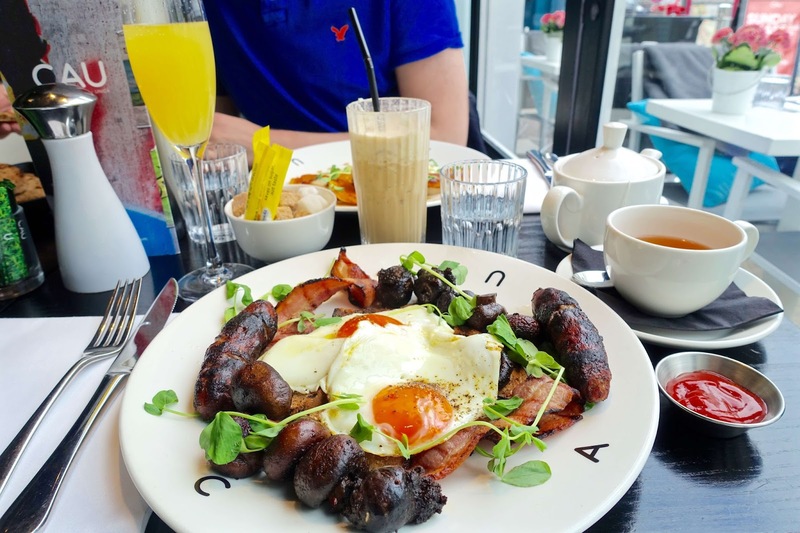 My breakfast was spot on - the meat was of high quality, the smokey black pudding, pork and herb sausages and bacon all tasted delicious, washed down perfectly with a side of bubbles!